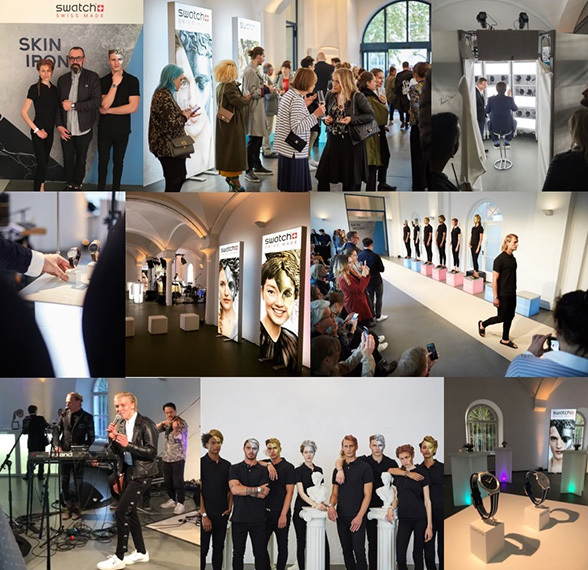 Celebrating the launch of its new line „Skin Irony“ the Swiss watch brand Swatch hosted a successful event on the Praterinsel in Munich. Fashion journalists and bloggers from Germany and Austria got to enjoy an exclusive preview of the timeless models with noble structures during a fascinating fashion show. While a flying buffet spoiled the guests with delicious food the Munich band Matija took care of the musical entertainment giving a life concert. The highlight was a mobile studio where the guests could get their foto taken in order to produce a 3-D bust of themselves. It was a great pleasure to organise this event!